This concept of being the apple of God’s eye is new for me. I had always thought to be an apple of someone’s eye was to be treasured, admired, respected. Biblically, that’s not even close to what it means. 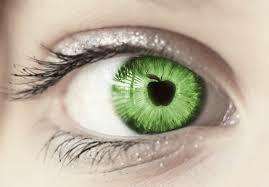 The apple is the actual pupil, the gateway into the soul, the receiver of light, and it is to be fiercely protected. In this context of Deuteronomy the people of Israel had been lost, broken, rejecting God, rebellious in nature yet Got protected them, guided them, loved them. Not because they deserved it, or earned it, but because that is His nature; to guide and protect those whom He places value upon. I don’t know about you, but I need to be reminded of this message constantly. His unconditional love means just that, my performance is not the standard by which He will protect me, love me, guide me. For me to even consider that I deserve His protection, grace, mercy and love because “I’m so much better today than I used to be” is to put salvation on my own shoulders, my own works. My ego and pride are constantly trying to take credit subconsciously for the miracles only God can perform. For me, I like that pupil also means student, for isn’t that what we will forever be, a student of Christ, seeking to live and love as He did but unlike Him, we will always come up short. That is not a condemning point but should be a revolutionary freedom of the soul that His price on Calvary is what covers that deficit. We will forever be striving to live up to His call and He will forever extend mercy and grace provided we remain humble in knowing that any goodness we may have comes from Him, and not our own. How magnificent is it to be the apple of God’s eye, to know that in spite of our own blundering humanness that we will forever, through faith, be fiercely protected. Father God, thank you for the so needed reminder that my life is not about me, it is not about how well I perform, how many prayers I say, how many people I do or don’t lead to You, how many days of the week I serve… or don’t. You Lord are my Rock and Salvation and this morning you offered the grace of awareness that I am the pupil of your eye, fiercely protected because you choose to, not because I deserved or earned it. Your grace is sufficient Father, thank You that you love us so much that You gave us Your word, sent us Your Son, and rose Him from the dead that we might have new life alive in Your Spirit within. May our eyes be opened to the divine appointments you place in our path each day, that we may share that same grace, mercy, love and protection you give us with those around us. This entry was posted in bible study, encouragement, faith, God's story, hope, Jesus, love, Salvation and tagged apple of God's eye, grace, jesus, protection mercy, salvation. Bookmark the permalink.